MIMIKRI might trigger lively questions on what is what. MIMIKRI. What does relaxation look like to you? Whether it’s the sun on a hot beach … or the peace and pure nature of Estonia’s bogs, Mimikri will take you there. 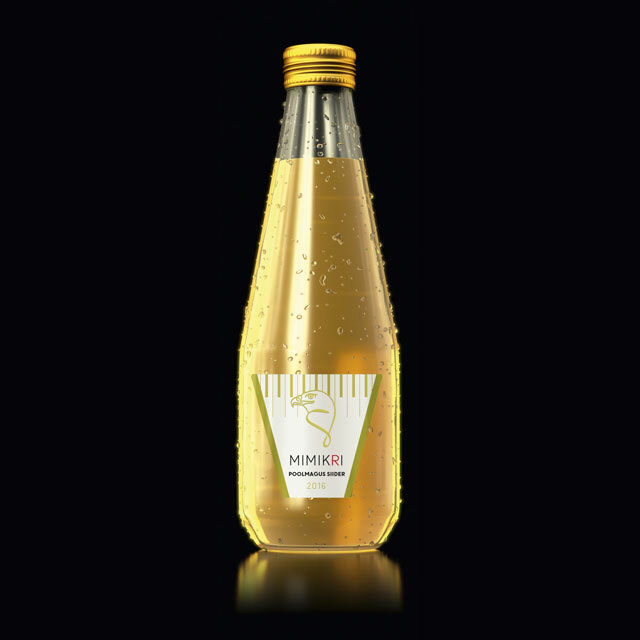 A semi-sweet, low alcohol cider (1.6% abv), made from 100% Estonian apples, Mimikri is as intriguing as it is unique. Expect an eye-catching amber tint, and hints of pear and tropical fruit coming through the bouquet and flavour.